Is this the controller for the Nintendo NX? Nintendo has a new and mysterious gaming console on the way, and the company really needs it to be a hit. A new image uncovered by a Dual Pixels source could well be the controller for the upcoming system. Take the leak with a pinch of salt for now but its credibility is bolstered by the fact that it closely matches a patent design Nintendo has already registered, and it passed a has-this-been-Photoshopped? test run over at Destructoid. Of course it may be a prototype or testing device - and so it might not look identical to the controller released to consumers - but for now it ticks all the boxes. Apparently motion and touch controls are going to be integrated as well as physical buttons. 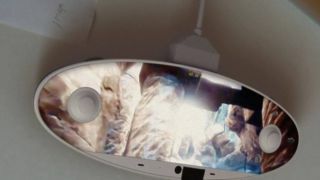 The word on the Nintendo street is that the images on the controller will change to match the game you're playing, enabling the device to display context-sensitive buttons that shift depending on the actions you need at the time. There's still a lot we don't know about the Nintendo NX. Early speculation suggests it's going to combine elements from both traditional consoles and handheld gaming devices to create something that's as unique as the Wii was back in 2006. We've previously heard that 4K video streaming and a special version of Zelda could be on the cards, but so far Nintendo has remained mostly tight-lipped. "Nintendo does not comment on rumours or speculation," a spokesperson told Dual Pixels.